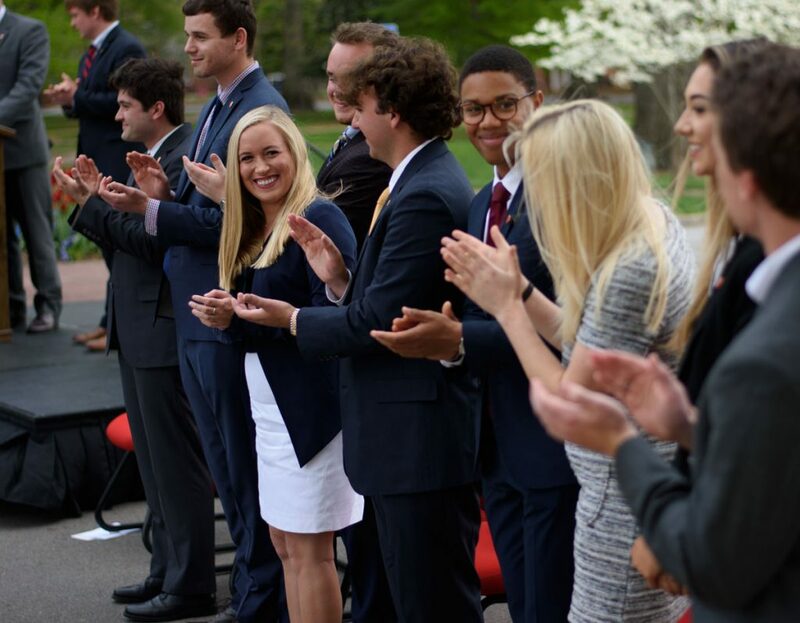 New Associated Student Body executive officers were officially sworn in Friday in front of the Lyceum to begin their terms for the 2018-2019 academic year. Outgoing executive officers stood by the students who would succeed them and gave the incoming officers ASB lapel pins to symbolize the passing of the torch to these new campus leaders. The new ASB Executive Officers are President Elam Miller, Vice President Walker Abel, Secretary Cady Cooper, Treasurer Jonathan Cox, Attorney General Katherine Sistrunk and Judicial Chair Alex Crouch. Chancellor Jeffrey Vitter gave the new student government leaders advice on how to best represent the student body and make the university a better place. In his last speech as ASB President, Dion Kevin reflected on ASB’s accomplishments over the past year. Kevin specifically noted that ASB had established a productive relationship with the faculty, engaged the city of Oxford and its citizens and changed the school mascot to the landshark. 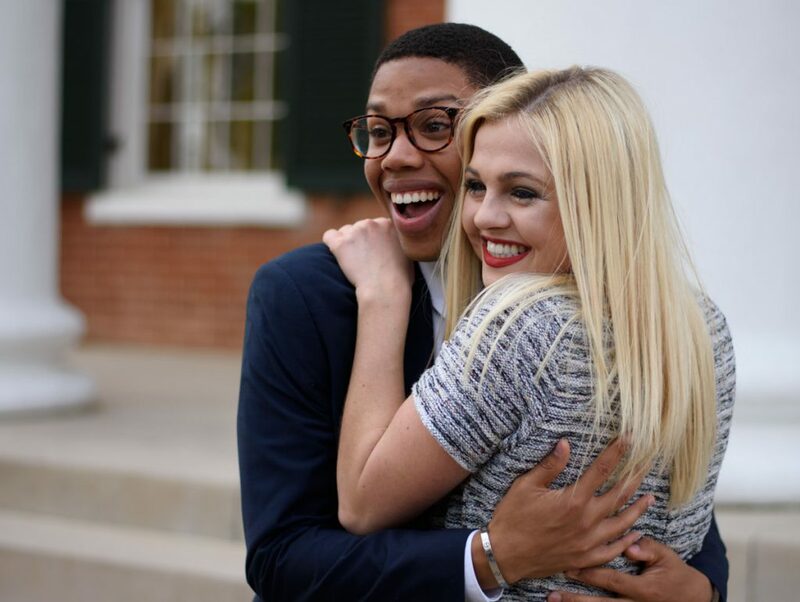 Kevin also gave kind remarks to incoming ASB President Elam Miller and charged Miller with the continuation of working to make the university a better place for all people. 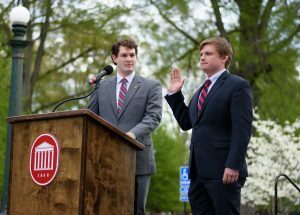 Miller then took the stage and gave his first address to the university as ASB president, during which he reflected on his campaign motto, “Expect More,” and what it means for his presidency. “… Whether that be expecting more opportunities for students who have been turned down from ASB before or expecting more access to shared concerns directly or expecting more collaboration between ASB branches and the student body,” Miller said. Miller shared why he decided to run for ASB President and what he wants to accomplish. Vice Chancellor for Student Affairs Brandi Hephner LaBanc also spoke at the ceremony and encouraged the ASB members to reflect on their successes and failures in order to grow and have a successful year. ASB executive officers will start serving in their new roles in the fall semester of 2018.